I spend much of my time sharing with you stories about our elderly clients and how Seating Matters improves their lives, so today I want to share with you the story of 21 year old Dominic. Dominic Davis lives at home with his mum Rosa and dad Clem in Leicester, UK. He has Duchenne Muscular Dystrophy and attends the day centre at Rainbows Hospice for Children and Young People in Loughborough. Last year the Hospice were supplied with a number of Seating Matters chairs and Dominic had the opportunity to sit in it and he felt very comfortable and safe. Before this, Dominic didn’t have a specialised seat, he sat in an electric wheelchair which didn’t always provide the support and comfort he required. Often, it can be daunting for parents to know where to turn to when they have children with complex seating needs. Rainbows Hospice put the Davis’ in touch with our Seating Specialist, Conor and with funding support from Rainbows, they purchased a Phoenix. “Dominic didn’t have a special chair before, this is much better. Everything was great with Seating Matters and I would absolutely recommended them,” said Rosa. You are looking really happy and comfortable in your Phoenix Dominic, keep enjoying it! If you have a young one or a relative affected by Muscular Dystrophy a specialist chair can really help to keep them safe, comfortable and supported. As this condition can lead to poor head control in some cases, the supportive 'wings' on our Phoenix chair in particular comfortable provide head and shoulder support, and they can be adjusted as the symptoms and condition progresses. To find out more about Muscular Dystrophy and how our specialist seating can help please click here. 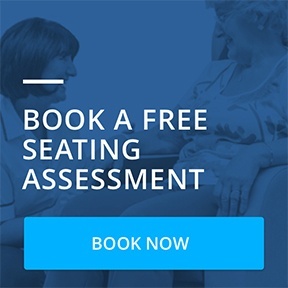 If you have any questions you can contact me directly on clinical@seatingmatters.com or you can arrange a free seating assessment with the Seating Specialist in your area, who will visit at a time and place to suit you to let you try the chair. Our chairs have been clinically trialled and are the only range of seating worldwide to have real ethical clinical research to support their use, proving a reduction in pressure injuries. 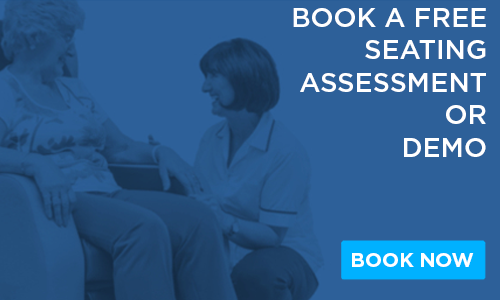 To find out more about our clinical research please click here. ‹ Previous Post - Congratulations to the New Mr & Mrs Squire!